Anticipating a wicked storm followed by a cold front on Sunday evening, I decided to get in a walk so you all could enjoy what might be our last taste of Autumn this year. Somebody’s got some raking to do! This one had better hurry up! 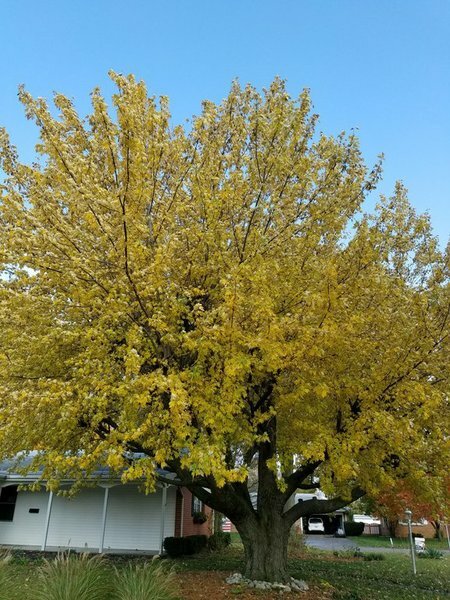 This entry was posted in Seasonal and tagged Autumn color, fall 2017, scenes from Central Illinois. Bookmark the permalink. The colours are beautiful! There is something special about the changing of the seasons, although I can’t say I welcomed the frost that greeted me this morning. In other news, your book arrived the other day! I haven’t started it yet as I have my hands very full at the moment, but it’s here and I couldn’t be happier! I am so not ready for winter!! The ‘big’ coat is now on standby..
Of course I will be honest and constructive, but I don’t expect to have too much to add as I am already a huge fan of yours! *blushing* Aww, thanks. The compliments go both ways here, too. And since you’ve already been through the process — a couple of times! — I look to you as a mentor! Nothing would be a greater homour or pleasure, Debbie! Feel free to contact me any time! Beautiful, Debbie. The colors are so different from what we see. It is a treat. Thank you. 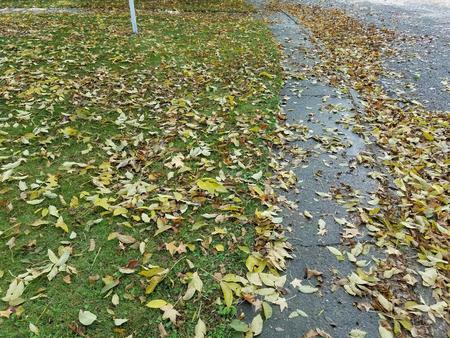 John, I imagine they bring back many memories for you — but aren’t you glad you don’t have to rake leaves, ha?! Ever since my town banned leaf burning, the residents have opted NOT to rake and scoop them into bags for hauling off. Nope, the leaves just blow willy-nilly wherever they will, eventually sidling up to fences and houses. Messy, but maybe they serve as composting. Well, I used to think they ruined the lawn. Maybe that was a myth? Lovely colours! Not many of our trees round here change into pretty colours, but I still like them when they go all naked and twiggy for the winter – nicely dramatic against the stormy skies. You’ve given me some wonderful ideas for winter photos, FF. Now, if I can don enough clothes to stay warm while snapping them, ha! What a wonderful collection of images, Debbie. We’re still doing hot and humid and green, but surely there will be a change sometimes. Won’t there? That last photo of the contrasting gold and crimson is gorgeous. I especially like the bush or shrub or whatever it is. Debbie it’s so ironic you posted this today because I plan on posting about Fall later this week. I too went out for a long walk last night, with the intent of taking pictures of our trees. 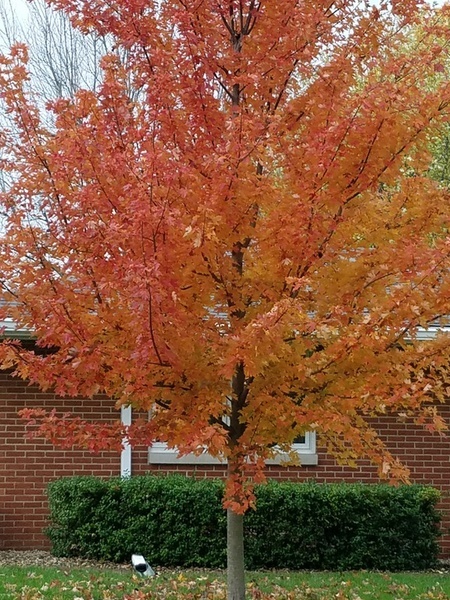 Like your area, our Fall has not had the “color” of previous years. However, I have a feeling we’ll be getting more of Fall later this month after we get colder weather. It’s been a very strange Fall because we’ve had a lot of warm and humid days (and weeks). 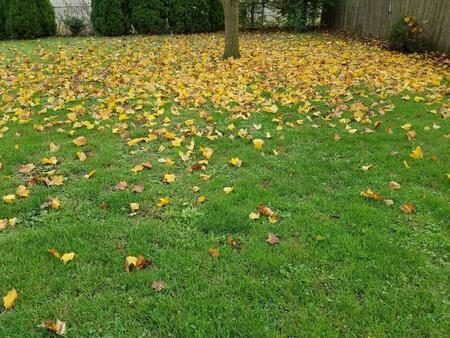 Don’t you love when the leaves fall on the grass, leaving a beautiful carpet of colorful foliage? And I love the sound they make when you walk through them! 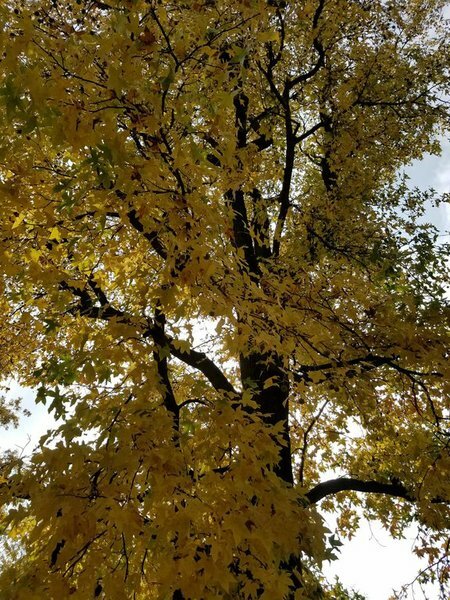 Thanks so much for sharing my favorite season! Ron, I love that our minds were working on the same track about it being time to post Fall photos! I can hardly wait to see yours, my friend. 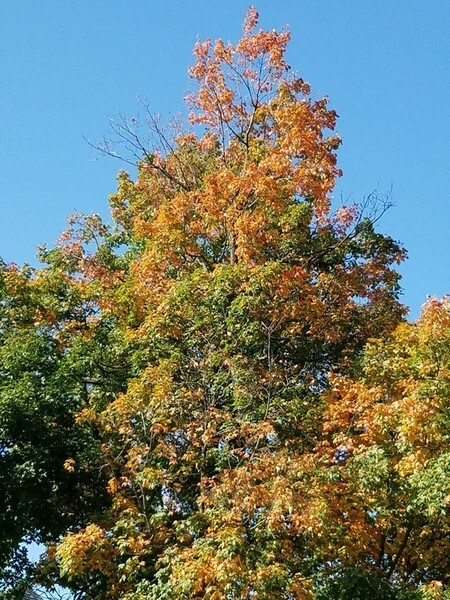 We’ve had way warmer temperatures than are usual, but now we’re having a nice cool snap, and the trees are responding with color. 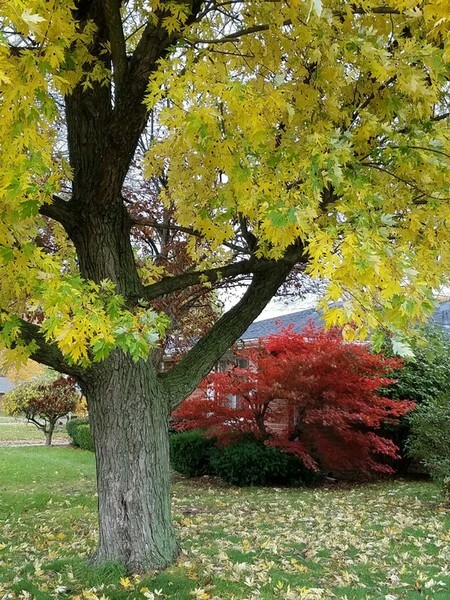 The reds, oranges, and yellows stand out brilliantly against the trees that are still green. 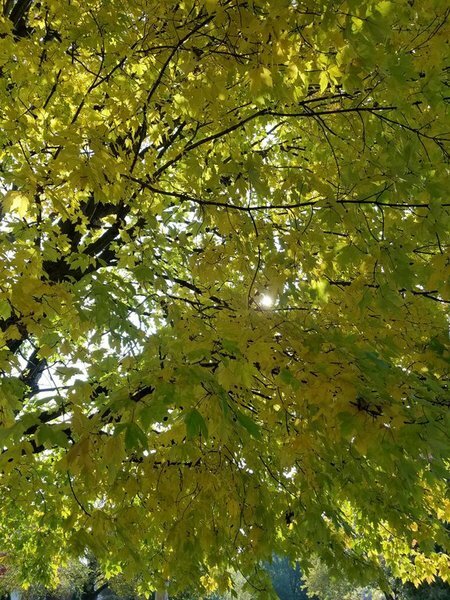 Such pretty pictures of the fall foliage. I love the contrast between the reds and gold. Back in the days, Cole believed the fairies painted the leaves. We would watch each tree “color out.” Of course, the boy fairies were the fastest painters. Maybe he still believes I never told him differently :-D. This is my favorite season and time of year. It stormed here most of the weekend but I wasn’t feeling great so a rainy weekend wasn’t too bad. 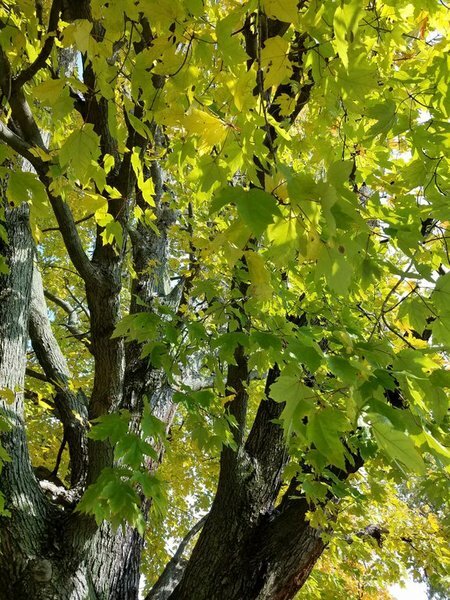 Love your story about Cole thinking the fairies painted the trees each Fall — our kids need silly, sentimental memories that they can always associate with childhood. The reality of this world hits them soon enough! I’m sorry to hear you’ve been under the weather. I’ve noticed that it’s consistently a bit cooler there than downstate, though Friday here is supposed to be in the 30s. Brr! Thank you for sharing your stroll with us, Debbie. Love that red bush in the final shot. Autumn is quickly leaving us here in NE. I hate to see Autumn go, Miss A. I can deal with the cooler temps, but I’m so not ready for ice and snow! Glad you enjoyed my photos, too. Won’t be long now until the ice and snow makes long walks more treacherous! Such goegeous photos, Debbie. 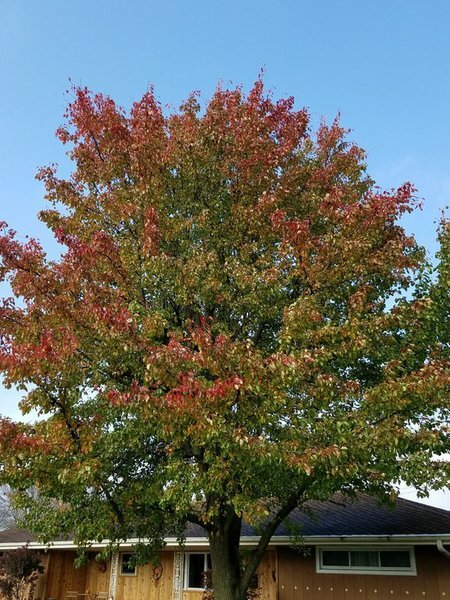 Fall is a wonderful time of the year. We do get a small taste of it here, maybe about a week, ha ha. At least we aren’t in the 90s anymore. I really enjoyed these beautiful trees! Thanks, Lana. 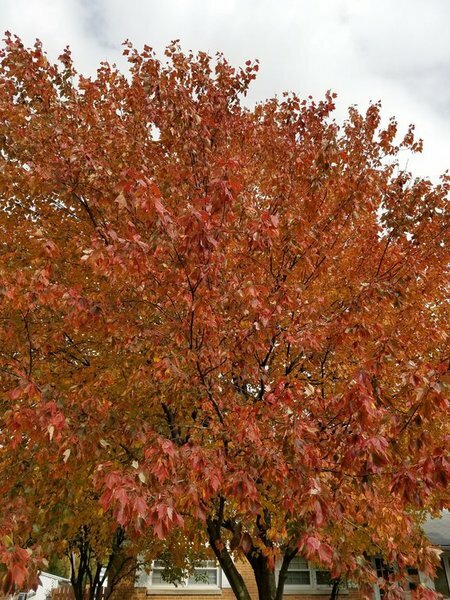 I remember getting a taste of Fall when I was in Texas. The thing I enjoyed most was that it would get cold but then warm back up; here, we might not see warmth again for many a month! After a lovely, color filled autumn here in Switzerland, we have entered the gloom and doom of cold, grey winter like days. It won’t be long before we join that, Pat. Not really looking forward to the ice and snow, but I guess Mother Nature needs her annual rest!